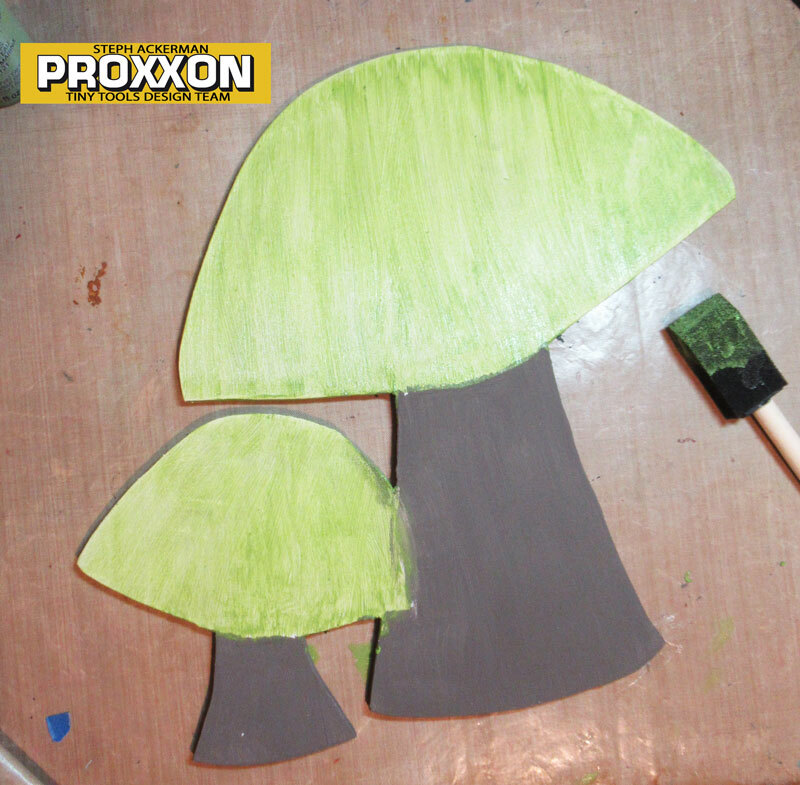 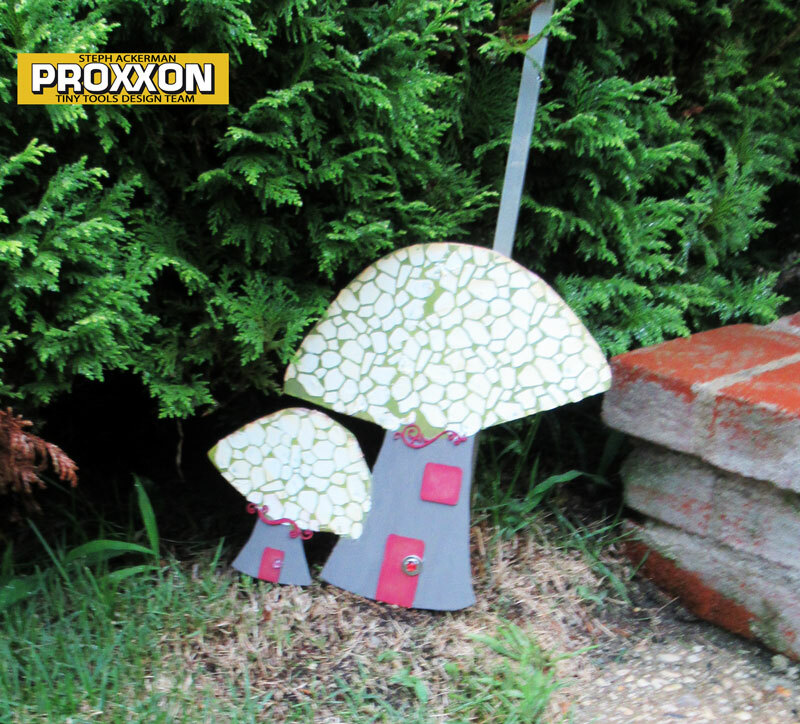 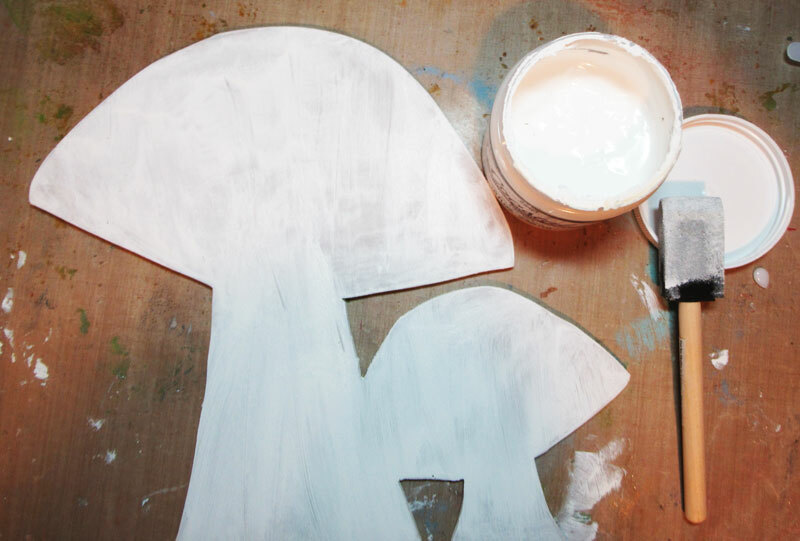 Hi everyone, my newest post on the Proxxon blog is a set of whimsical mushrooms. I started by drawing the pattern on my wood. Then I used the Scroll Saw to cut the pattern. 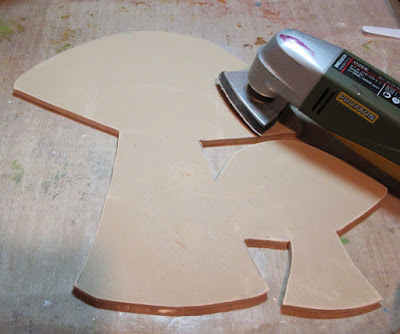 I used the Delta Sander to sand the mushrooms. Next, I used the Pen Sander to get into the tiny areas. I painted the mushrooms with Plaid Coastal Paint. The stems were painted with Seal Grey Coastal Paint and then the tops were painted green. 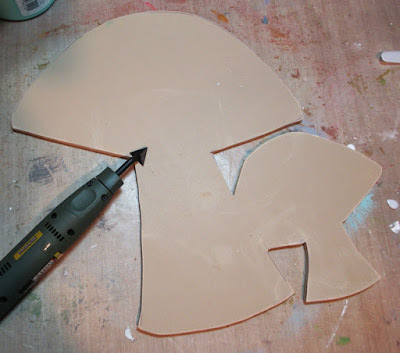 I used a stencil with molding paste to create a pattern on the tops. 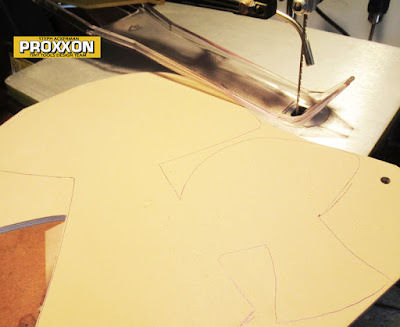 Next, I lightly inked the edges. 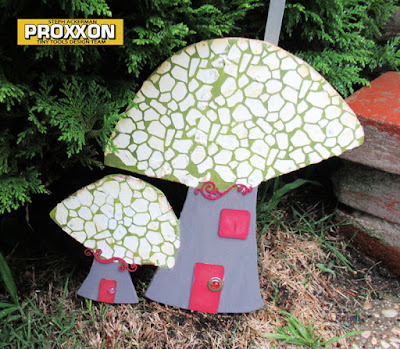 To finish, I added chipboard elements for a whimsical effect.